For travelers looking forward to their summer holidays, what to pack can be a source of stress. But did you know that taking an e-cigarette with you to countries such as Thailand could land you with a fine - or even time in jail? 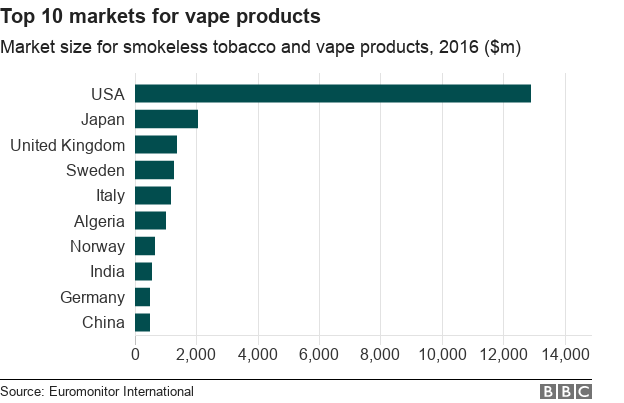 Countries including the Seychelles, Brazil and Argentina have also banned the sale of e-cigarettes, but spending on them globally is going up. 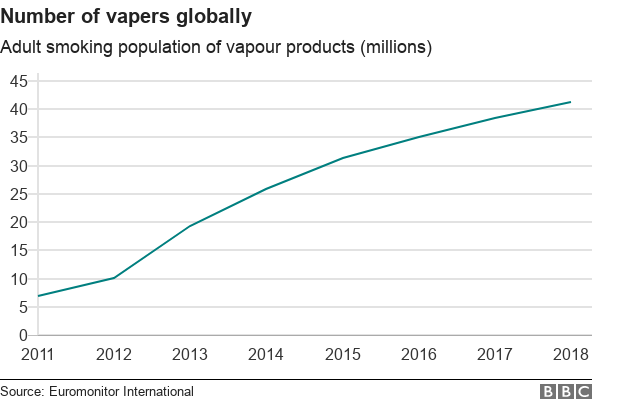 These charts tell the story of a growing industry - but how many people vape, how much is being spent on e-cigarettes and why do people buy them? According to the latest statistics from the World Health Organization, there has been a small but steady decrease in the estimated number of smokers globally since 2000 - from 1.14 billion then to about 1.1 billion now. 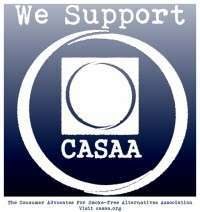 But it's a different matter when it comes to vaping. 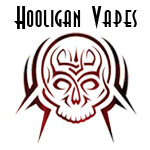 The number of vapers has been increasing rapidly - from about seven million in 2011 to 35 million in 2016. 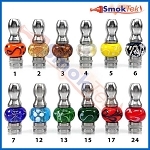 Market research group Euromonitor estimates that the number of adults who vape will reach almost 55 million by 2021. 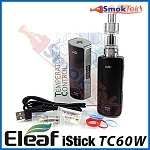 The e-cigarette market is expanding, as the number of vapers rises. 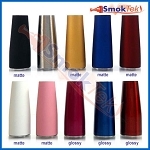 The global vapour products market is now estimated to be worth $22.6bn (£17.1bn) - up from $4.2bn just five years ago. The United States, Japan and the UK are the biggest markets. Vapers in the three countries spent a combined $16.3bn on smokeless tobacco and vaping products in 2016. European countries such as Sweden, Italy, Norway and Germany also feature in the top 10. 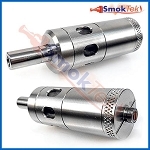 There are two main types of e-cigarette - open and closed system, also known as open and closed tank. 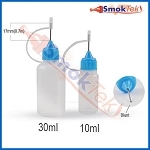 In an open system, the liquid that is vapourised can be refilled manually by the user. There is also a removable mouthpiece. 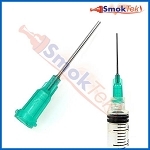 Closed system e-cigarettes use ready-made refills, which screw directly on to the e-cigarette's battery. Since 2011, the gap in spending between them has been gradually widening. 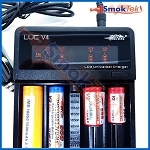 It is reckoned that this year, vapers will spend an estimated $8.9bn on open system e-cigarettes, also known as vape pens - more than double the spend on closed-system products. 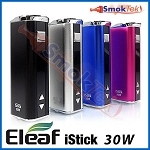 Most e-cigarette users buy their devices in specialist shops, according to a report published by Ernst & Young. 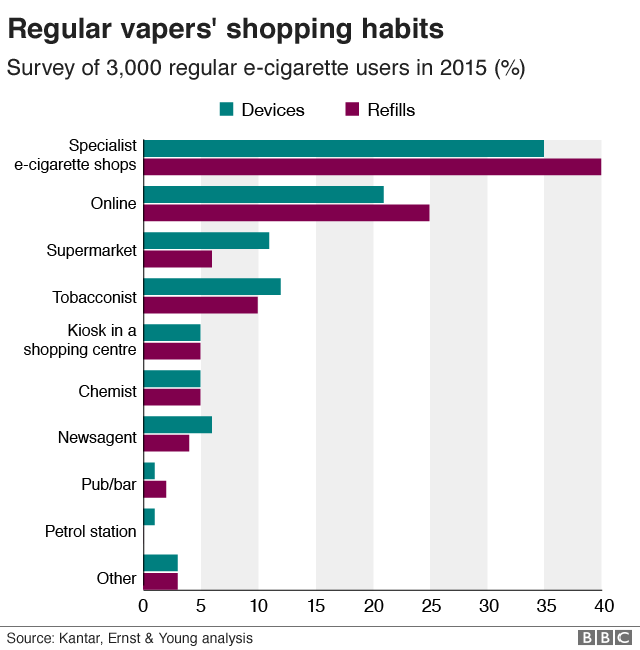 In 2015, 35% of e-cigarette users surveyed across the UK, France, Germany, Poland, Italy, Russia and South Korea bought their devices in e-cigarette shops. Of the 3,000 users surveyed by Kantar for Ernst & Young, 21% said they had purchased their devices online. 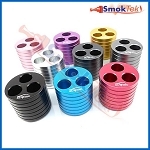 It's thought that consumers might make their first e-cigarette purchase in person, to build familiarity with a relatively new product, or to seek advice on which type of device might suit them best. 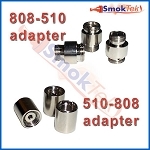 In the UK, Europe's largest e-cigarette market, there are an estimated 2,000 vaping outlets. 5. Why do people vape? 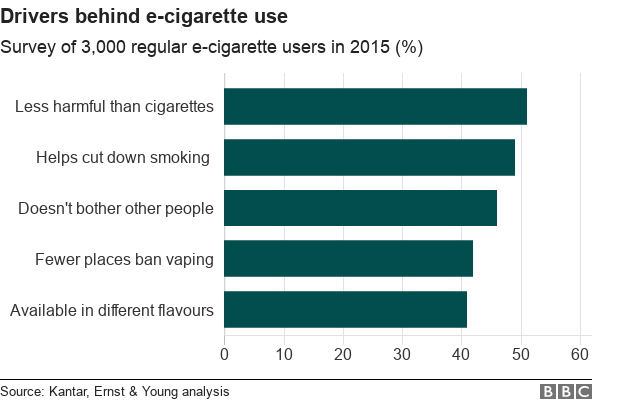 Across the countries surveyed for Ernst & Young, the most common reason for using an e-cigarette was that they are "less harmful than regular cigarettes". 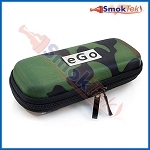 About 49% of regular users said that they used e-cigarettes in order to curb their smoking habit. 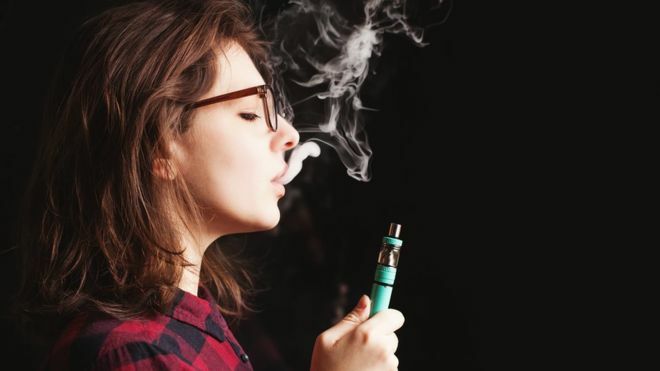 Public Health England's latest report on vaping highlighted evidence that e-cigarettes are less harmful than regular cigarettes, and that there was no evidence so far to suggest that e-cigarettes might encourage young people to take up smoking. 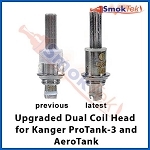 The agency has also recommended that e-cigarettes should be available on prescription, because of their role in helping people give up smoking.